Students from Percy Centennial Public School with their living willow playground after one season’s growth. Would you like to build a living willow feature in your garden, school playground or business? Living willow playgrounds are very easy to build, the whole family can be involved in the planning, construction and maintenance. They are fast growing and easy to maintain... but best of all they are GREEN! If you are considering a living willow structure your planting site must provide at least 1/2 day sun, must have access to a water source for weekly deep watering when planted and be away from septic systems and building foundations. Each deluxe kit includes everything you need to build your dome, tunnel, fedge or run, PLUS a free demonstration workshop with your purchase (for up to two participants). 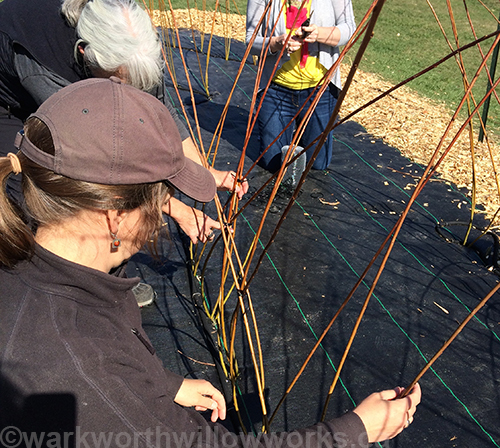 Living willow kits and rods are only available for pickup at the farm. The best time to plant is early spring. Available in Canada only. If you are planning a large structure you can purchase willow rods for your own design. A play hut for children. A shelter in your yard. A quiet place to read a book. 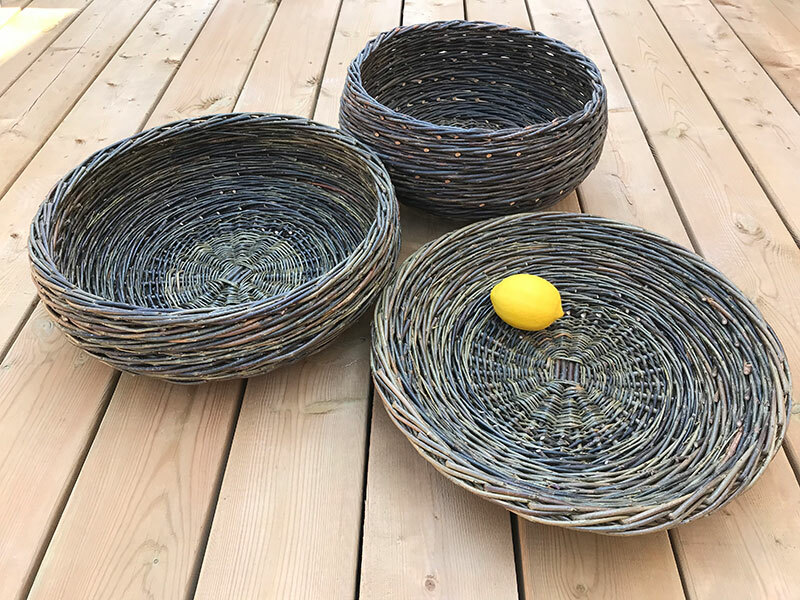 This kit provides you with enough willow rods for a 6ft diameter dome. Heights may vary depending on what you require. Available in a basic and deluxe kit. A covered path through your garden. A children's playground. A maze in a field. Choose from a 6ft, 8ft or 10 ft long tunnel kits, with 4ft widths in basic or deluxe kits. A privacy screen. A garden accent. A plant support. Order rods for your specific length of fedge. A single diagonal pattern uses 3 rods per foot, a double diagonal uses 5 rods per foot. Add 3 rods twisted on each end of your fedge. Landscape fabric, staples, planting rods and ties are also available. A shady retreat for your dogs. A hideaway for a rabbit. A run for chickens. *The run shown in this photo is two kits combined. Our living willow demonstration gardens year three.